Here is one of my latest favorite DIY Craft ideas. 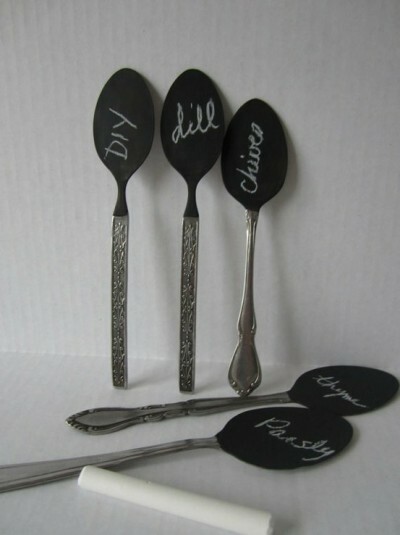 Irene’s Closet thrifted these spoons, dipped in chalkboard paint, and turned into plant markers for the garden. I think these would make such fun dessert tags at a wedding or a party. This is such a clever idea. You can also purchase these at Irene’s Closet on Etsy.